How do we enter the Kingdom of God? Through obedience to God … that is the only way we enter into the Kingdom. “Not everyone who says to Me, ‘Lord, Lord’ will enter the kingdom of heaven; but he who does the will of My Father who is in heaven. Many will say to Me on that day, ‘Lord, Lord, did we not prophesy in Your name and in Your name cast out demons, and in Your name perform many miracles?’ And then I will declare to them, ‘I never knew you; depart from Me, you who practice lawlessness’” (Matt. 7:21-23). “Therefore everyone who hears these words of Mine, and acts upon them, may be compared to a wise man who built his house upon the rock. And the rains descended, and the floods cam, and the winds blew, and burst against that house; and yet it did not fall, for it had been founded upon the rock” (Matt. 7:24-25). God places His highest value on having a relationship with you. And where there is relationship, there is natural fruit of obedience. 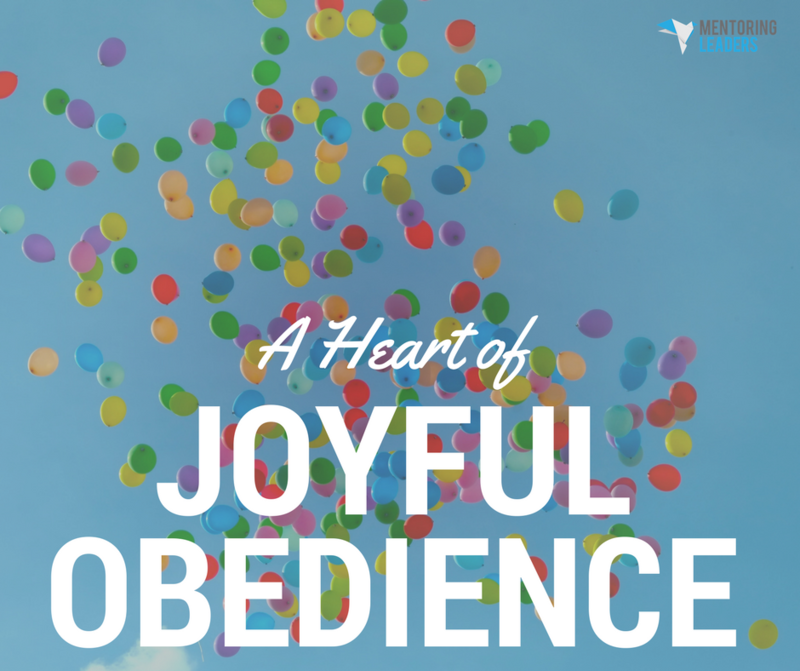 Obedience is the fruit of relationship. If we have a genuine relationship with God, then we will trust His leadership, His intentions and His plans. Because of relationships, our hearts are changed and we absolutely want to do what He says! Obedience is not for God; it is for us. He asks us to obey because He loves us and wants us to enter into His best. Here are a few battles to focus on building a strong foundation of faith. They are also four key areas where obedience is a must. These battles will determine your destiny. You must win this battle. You can lose everything else, but you had better win this one. If you’re willing to exchange your faith, then you have a price on your head. You are buyable. Your soul can be bargained at any time because you’re willing to sell your commitment. Do you know what keeps you free? When you answer, “No, this is my commitment.” And you stand firm in your commitment to God. You are a child of God—a son or daughter of the King of Kings—not a slave of this world, the devil or anyone else. You may lose everything else, but do not lose this. There is no compensation for this. You may be tempted, but above everything else, keep this commitment. This is what makes you free. What good is it if you are successful in your business but you lose your marriage and your faith? It’s all for naught; you’ve lost. People have said there are ways to make sure you win. The first is, before you get married, make sure he or she is the right one. Be very careful before you make the commitment. I tell young people that marriage is not going to be made or broken in the good times. Your marriage will be made or broken based on how well you handle opposition. It’s in how you resolve problems that will determine the fate of your marriage. The defining point for your marriage is how you resolve differences — great and small. During opposition is where your faith will be tested. It’s through battles that your obedience will be refined. Can you obey God in the midst of the opposition? You train for the tough times. Once you start building your faith on that, then your faith increases and you begin to enter the Kingdom of God. Don’t lose the second generation — our kids. Mark my words: all of them are going to be tested. The Bible says, “The devil comes to steal, kill and destroy” (John 10:10). Watch out for those three enemy tactics in your family: he’s going to come and try to steal your kids, and kill the affection in your marriage in order to ultimately destroy your faith and commitment. Don’t lose your faith and commitment! The devil will try to tear you all the way down in order to destroy your foundation. Don’t allow it! If you continue to battle in the areas of marriage and your second generation, the devil cannot destroy their faith. Make sure your faith and the faith of your family stay strong and true, no matter what. Grandparents, can I say this to you? You have an entry into your grandchildren’s life like nobody else. Don’t question that entry; just walk in it and use it to impart spiritual and eternal truths into their lives. Have a faith ready for action and opposition. That’s the kind of faith God desires for you. Train for that; run in such a way that you will win. He will guide you through the battlefronts. Obey Him and come under His rulership. Understand what it means to have a relationship with Him. And in that, you will always succeed.